Let’s face it. Office exercises are now a thing. White-collar jobs coupled with increased screen time are having a negative impact on physical and mental health. 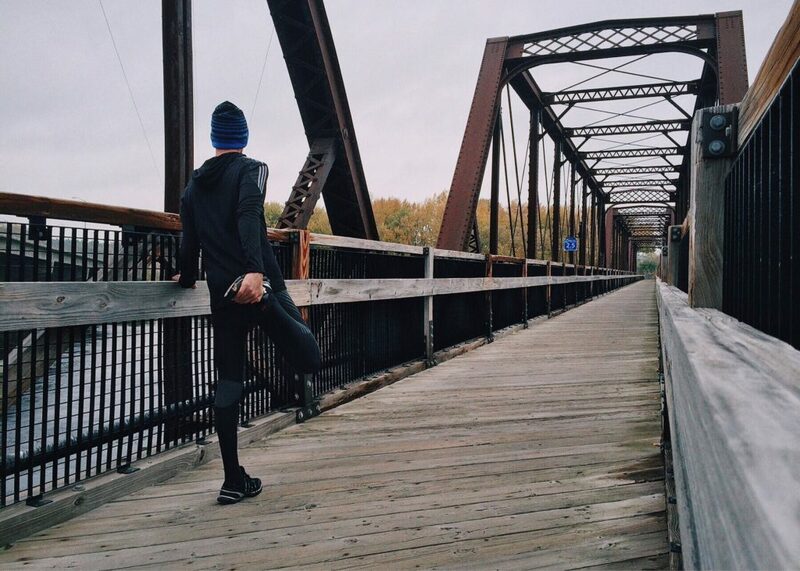 Employees are unable to take out the time and effort for a regular workout session. Even if they do work out regularly, it’s not enough to compensate the lethargy that creeps in from slouching in front of the computer all day. 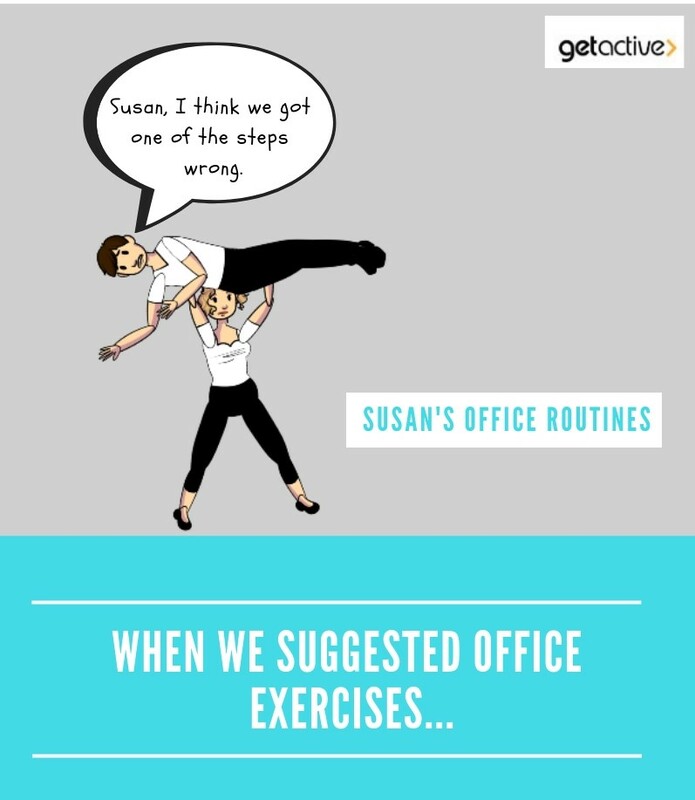 Let’s check out some easy and quick exercises in the office you can introduce to your employees to help them get active! 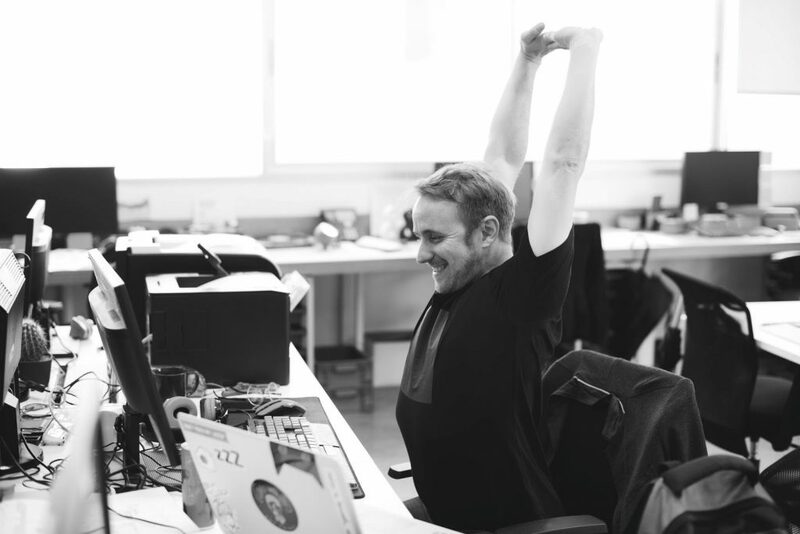 The benefits of employees exercising during the workday are many – you’ll have a workforce that is energetic and productive, and hence raring to complete tasks quicker and better, and then, reduction in absenteeism and creation of sharp, creative minds. Office exercises also improve inter-personal relationships and reduce stress. Okay! We’re sold: A healthy team = happy team = profitable business. Now what? Sit back straight, in a comfortable position. Bend your head sidewards so that your right ear touches your right shoulder. This will give your neck that much-needed stretch. Repeat this with your left ear and shoulder. Giving the neck a break. Hold for about 15 seconds on each side. Benefits: Reduces stress, improves posture and attention span. Extend your arms upwards and stretch them as much as possible. 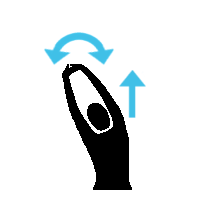 Rotate your wrists freely as you stretch them. Benefits: Simple and effective way to start toning the arm muscles, making them stronger and increasing endurance. 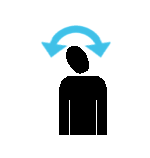 Take your arms above your head and interlock your fingers, keeping your palms facing outward. Bend at the hip sidewards, first to the right, keeping your arms stretched out. Repeat this on the left side. Side stretches for the torso will relieve muscle tension. This helps stretch your torso and back. Benefits: Releases all that pent up tension from the arms all the way to the spine and lower back. Helps the muscles unwind and feel rejuvenated. 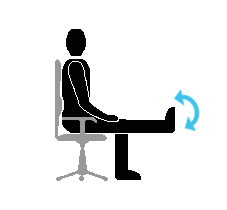 While sitting, stick your right leg out in front of you and hold it straight. (don’t kick anything or anybody in the process). Now lift it a little higher and hold to get the blood flowing. You can even do leg rotations or just wriggle only the foot to release the tension. Stick out a leg and loosen up. Benefits: Pushes for blood circulation especially when your feet are sluggish and swollen from sitting all day. Also helps burn fat around the hamstring area, making it lean and strong. You’re going to have to stand up for this. Bend your right knee and bring it as close as possible to the back of your thigh and hold with one hand. You can take support from a table or a chair to avoid losing balance. Benefits: Makes your knees strong, preventing joint pain and working on those thigh muscles. You can develop some amazing balance if you practice towards standing without taking support. Raise both shoulders close to the ears and roll them in a backward direction. Repeat the same in the forward direction. Do this a few times and your back will feel alive again. Benefits: Takes the weight off your shoulders, literally. It removes any stiffness from your shoulder blades and even your upper back, expanding the chest cavity and keeping joints flexible. No, not literally squat on the floor! (we’ll save that for the next session) Stand up from your chair and then lower yourself to a sitting position- except you don’t fully sit. When you’re close to the chair, rise again. This will really work your glutes. Make sure your back is straight while you do this exercise. Benefits: This slightly rigorous exercise can really tone your calf and thigh muscles, making your knees strong and improving your stamina. Step out for a stroll. Really, it’s just as simple as that. 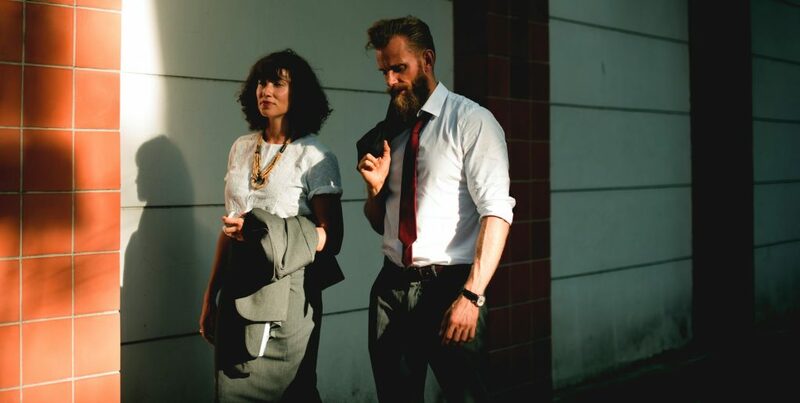 You can walk to your colleague’s cubicle to hang out for some silly banter (instead of sending memes on chat) or to your boss’s office to give an update (no harm in disrupting the chain of emails for the boss-man huh?). Keeping fewer chairs in meeting rooms can also encourage standing or walking during discussions. Just make sure your team’s often on their feet to keep them energetic and zippy. So there you have it – 8 simple office exercises your peeps can do without having the boss-man raise an eyebrow. Hey, maybe boss-man will join in too! Want to know how else you can positively impact the health of your workforce easily? Getactive is a holistic employee wellness platform that will help your employees stay healthy, alert and stress-free, resulting in happier team players, and creating a healthy, positive vibe across the organization. Reach out to us and we’ll help your team Get Active!